Two years ago, SEO copywriting was a mystery to most. The term ‘Search Engine Optimisation’ was known only by those initiated into the world of Internet geekdom. It was a lofty term bandied about by ‘experts’ during PowerPoint presentations and left most businesses slightly baffled as to its true nature. It was only understood by IT departments and web designers, not mere mortals such as business entrepreneurs. Now, thanks to the power of Google, SEO and SEO copywriting have become familiar terms for any business using the Internet as part of their marketing strategy. SEO is actually quite simple – it does exactly what it says on the tin. SEO is designed to optimise your search engine standing amongst the major search facilities such as Google and Yahoo!. The components of SEO, however, are a little more complex. SEO is a sum of many parts, designed to maximise your appeal to both the search engines and the humans that use them on a daily basis. By putting together a collection of ‘white hat’ techniques that comply with the search engine’s criteria, businesses can improve their page rank – vital when you remember that most people searching for information on the Internet will only look at the first two to three pages of search result listings. The essential element in all of these SEO components is the copywriting. Without good SEO web copywriting, optimisation is just a term. A good SEO copywriter will understand not only what the search engines want, but what the reader wants as well. The most important element is quality content, whether it’s a landing page or a blog entry, a 50 word ‘premiere page’ (designed to maximise keyword insertion) or a 600 word article designed to be published on ‘e-zine’ sites. 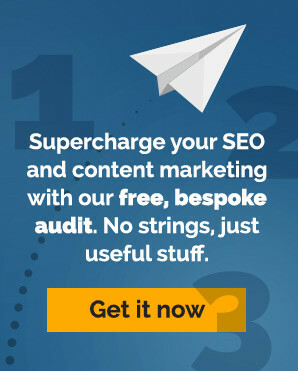 All of these SEO copywriting elements come together to maximise a business’s website in the eyes of the great god Google, as well as keeping the human reader interested in the content, which in turn means more end-user business for the company employing the services of a specialist SEO web copywriter. It’s a worthwhile investment, particularly as Internet exposure is now vital to promoting business growth.